One torso pivot, two arms (each with seven rotational axes) carry out most regular tasks involving liquid handling in test tubes, Petri dishes, and microplate wells with the same pipettes and aspirators that human researchers and technicians use…but faster, cheaper, and mistake free! Life sciences is only as good as the R&D and test labs that drive it; they are the critical common thread that run through pharmaceuticals, biotech, and medical technology. Without them, life sciences could be thrown into a screeching halt. However, with them, lab work is slow, expensive and error prone. It’s a disconnect in the lab-to-market continuum of which all of life science is very much aware; and it’s a naggingly persistent problem that laboratory automation has yet to adequately address. The fact of the matter is that a good pair of hands are still very much essential to lab work, but hands stuck on the ends of human arms aren’t solving the necessary speed, cost, quality conundrum. If the Maholo LabDroid is successful, it would positively impact a mega-industry that is on a massive growth spurt. RBI is basically saying that there are thousands of R&D and test labs underpinning all of those life science billions in sales that could be made faster, cheaper and better with its LabDroid. 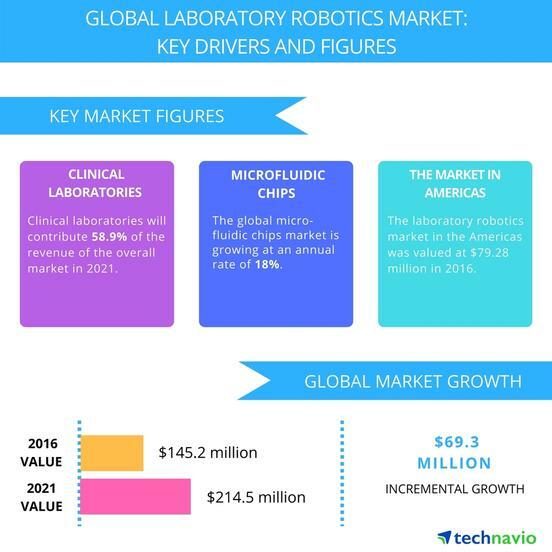 The robot’s impact is significant as well on the automated lab equipment and software market that Markets & Markets pegs at $5.4 billion by 2021. RBI’s position is that entire labs, and not just individual lab functions, should be taken over by these LabDroids because of the potent synergies the robots bring when acting in concert. For each Maholo, the unit cost is $890,000, so even a half dozen in a given lab would be a very pricey upgrade over humans. ​RBI’s president, Eiji Takagi, raises the obvious point of human frailty in accurately reproducing standard results from lab-bench drudgery over and over again. “In any experiment, data variation commonly occurs by many unintended human factors,” he said in a recent interview. “Among them are experimenter’s skill, physical or mental fitness, concentration and sometime grit. Researchers in Japan undertook to automate important procedures in life science experiments in an attempt to automate out human inaccuracy and unreliability. Toru Natsume, RBI’s CSO, as well as the director of the Molecular Profiling Research Center for Drug Discovery, wants to free researchers from drab, error-prone bench life to do more creative work, while at the same time eliminating a very costly and time-consuming bottleneck from laboratory processes. Over the next three years Natsume and his RBI colleagues will market their LabDroid first in Japan and Asia, and then make a quick foray into the U.S. market. RBI feels that it is distinctly possible to sell between 300 and 500 of their Maholo robots by then. Japan’s National Institute of Advanced Industrial Science Technology (AIST) established the startup in June of 2016. The government’s JST (Japan Science and Technology) is also a founding member, as is Yaskawa Electric, which is the supplier and developer of the dual-arm robots (LabDroid’s arms have 7-axes each). 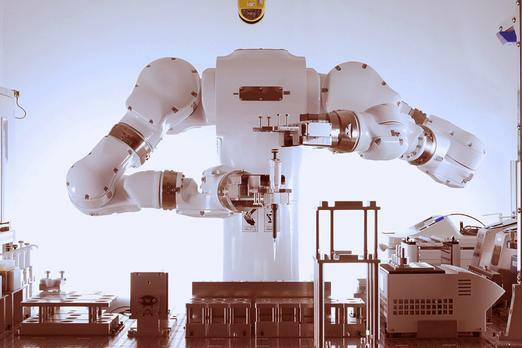 AIST provides the biological experiment requirements of the robotic system. RBI will add the software and AI technology on top of this robot technology and biological experiment expertise.